This is the must-have necklace with small multiple pendants in the shape of a coin. The pendants give the necklace a playful appearance. You see them everywhere, make sure you do not stay behind and shop this trendy necklace soon! 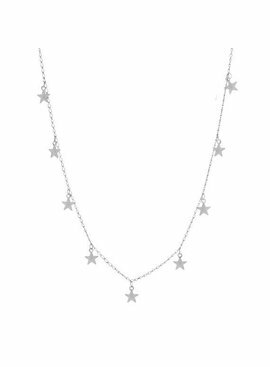 Beautiful necklace full of stars. The stars stand out nicely, since they are nice and shiny. A necklace with which you can easily combine and make many layers. 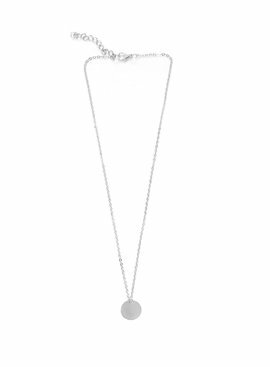 This is the musthave necklace with a large 1.5cm pendant in the shape of a flat coin. 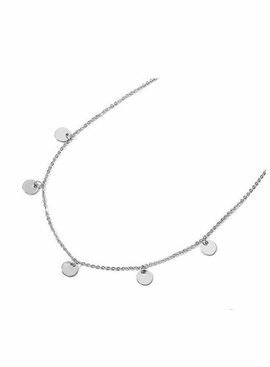 The pendant gives the necklace a minimalistic look. You see them everywhere, make sure you do not stay behind and shop this trendy necklace!